By their very nature, resolution actions under the legal framework for the management of bank insolvencies created by the European Bank Recovery and Resolution Directive (BRRD) and the Regulation establishing the Single Resolution Mechanism (SRMR) come with infringements of rights of shareholders and creditors. Just as any expropriation of private property by public authorities, resolution actions therefore have to comply with the principle of proportionality, as required by the applicable provisions of the EU Charter on Human Rights and the European Convention on Human Rights. Analysing parallels and differences between general insolvency law on the one hand and the special resolution framework on the other hand, the present article explores the functions and operationalisation of the principle of proportionality in bank resolution. Special attention is given to the ‘public interest test’ which, as part of the statutory ‘conditions for resolution’ under both the BRRD and the SRMR, translates general proportionality considerations into a clear-cut set of requirements designed to prevent the application of the resolution tools to cases that do not give rise to systemic stability considerations. 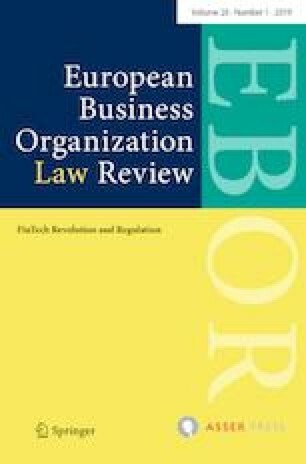 Within the Single Resolution Mechanism, the Single Resolution Board’s decision, in 2017 and 2018, not to initiate formal resolution procedures with regard to banking institutions whose failure and liquidation under national insolvency laws were not expected to trigger systemic implications clearly demonstrates both the practical relevance of considerations of proportionality in the context of bank resolutions and the need for clear-cut principles for the interpretation of the relevant parts of the framework. An earlier version of the present article was presented at the Workshop ‘The Principle of Proportionality and Its Applicability in EU Banking Regulation’, organised jointly by the Bank of Greece, the University of Piraeus and the European Banking Institute in Athens, 13 February 2017. The author would like to thank the organisers, in particular Christos Hadjiemmanuil, for the invitation. He is indebted to all discussants for numerous insightful comments. The usual disclaimer applies.